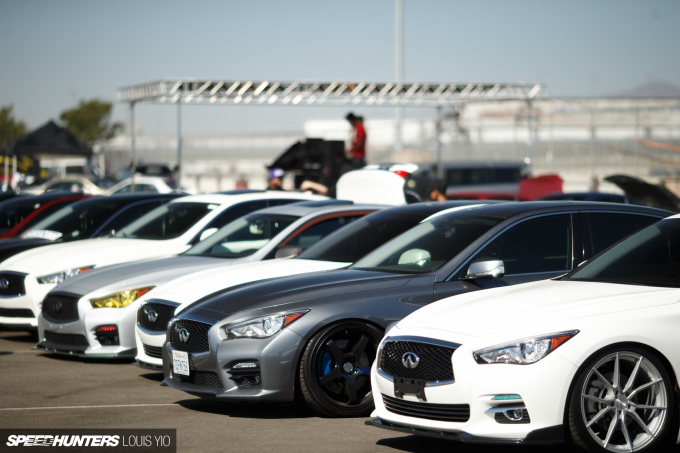 Last week, I brought you some coverage of Subiefest, as held at Auto Club Speedway in Fontana, California. 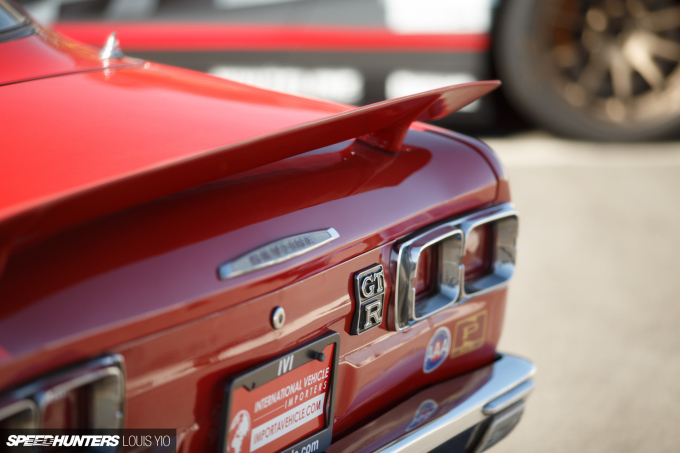 What I didn’t mention at the time was that I’d also visited Auto Club the day prior for another car show, celebrating another automotive marque. I’m talking about Nissfest. 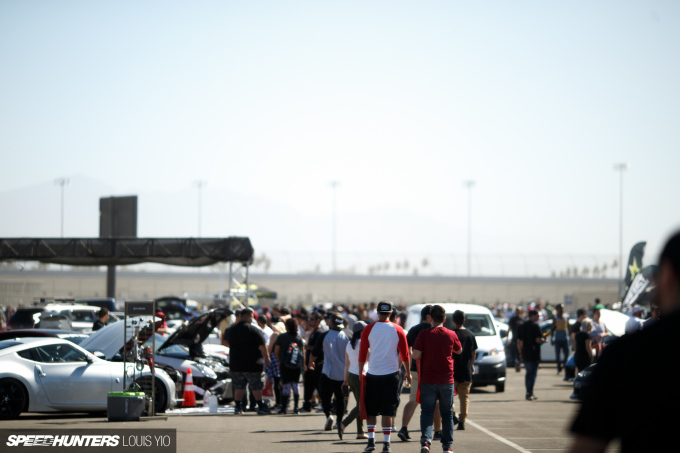 The event itself was organised by Tony Anaya and the SoCalZ crew, the same people behind Subiefest. 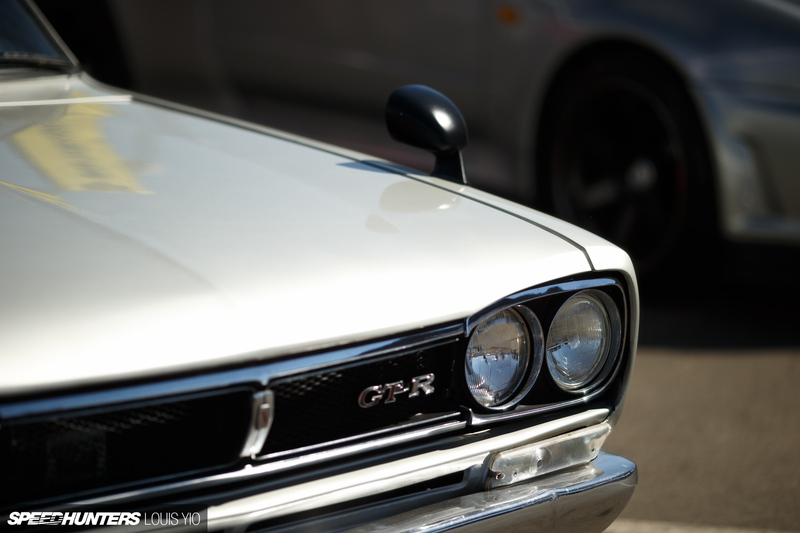 But unlike the celebration of all things Subaru, which has been going on for a few years now, Nissfest is relatively new, 2016 being only its second annual running. That said however, there was absolutely no shortage of Nissan, Infiniti and Datsun vehicles, and what was on show was very impressive. On arrival at Auto Club Speedway I parked my car next to this group of Zs. I knew I was going to be in for a real treat if the parking lot had a selection this nice. I wasn’t wrong either; a few moments later I walked through the gates to find the event already well alive. 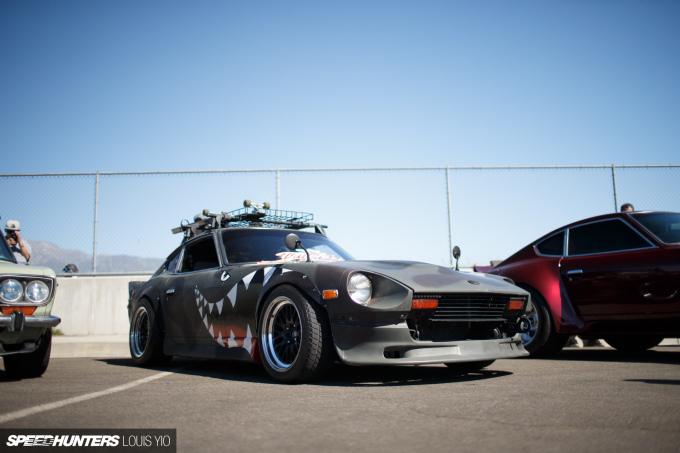 One of the first cars I encountered was a purposeful-looking Z. 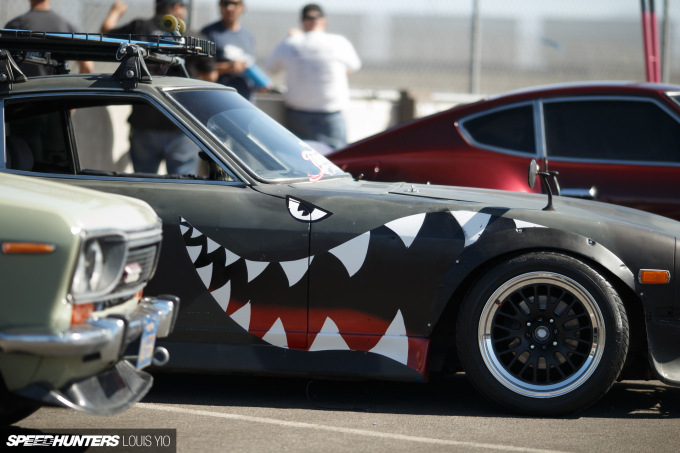 Despite the countless times I’ve attended ASB events (and a few Top Drift competition events), I can’t recall having seen this car before. 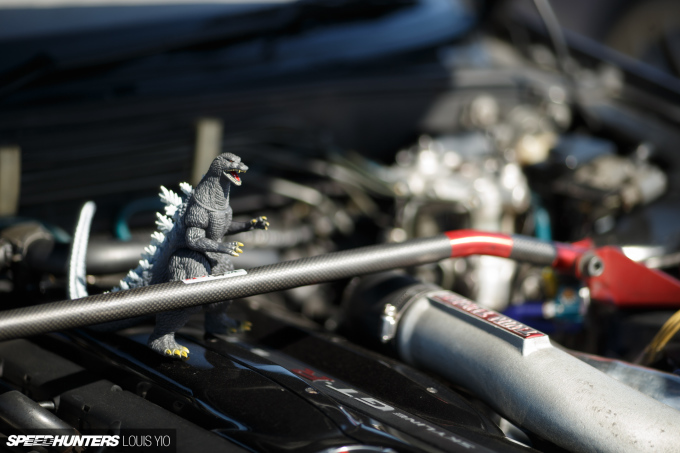 The LS V8 jammed into the engine bay was certainly a talking point for everyone that came over to check it out. 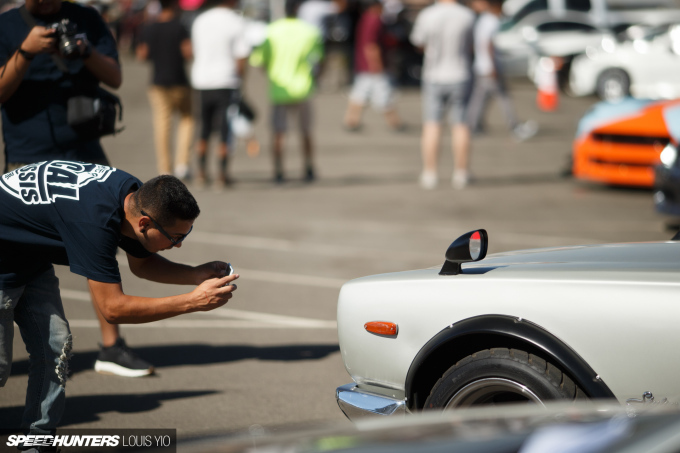 Aside from lurking on Zilvia‘s classifieds, I’ve never had much to do with Nissan enthusiast clubs, which is why I actually love coming to an event like Nissfest; it’s something new and outside of my comfort zone. 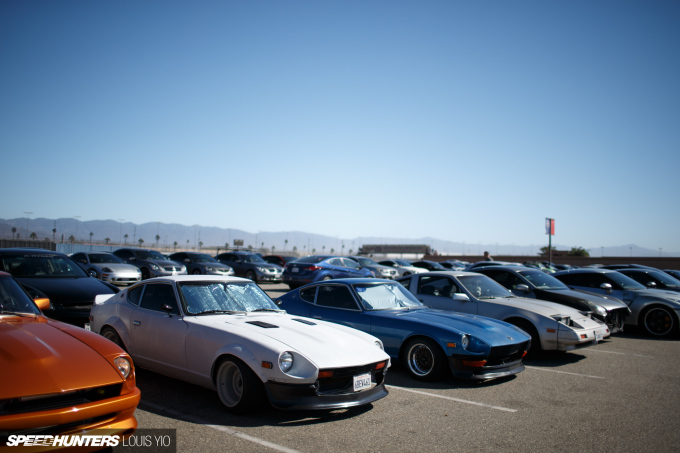 Honest question for the Nissan Z/Infiniti G faithful out there: is there any animosity between owners of the two types of cars? 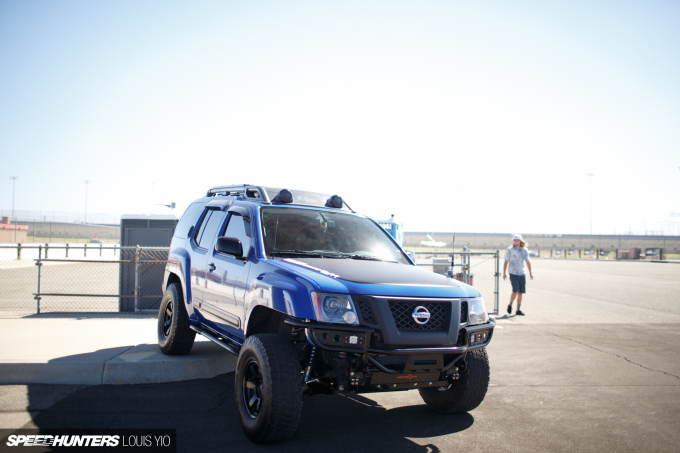 Seeing as though I love off-road vehicles, I was a little sad to find only one Xterra at the show. I seriously love this car; it would make an excellent over-landing machine. While attending Cars & Coffee in Aliso Viejo a few months back, I noticed a large group of Nissan Jukes assembled together. I never knew this baby SUV had a big enthusiast following, so I made a point of doing a little research into them. 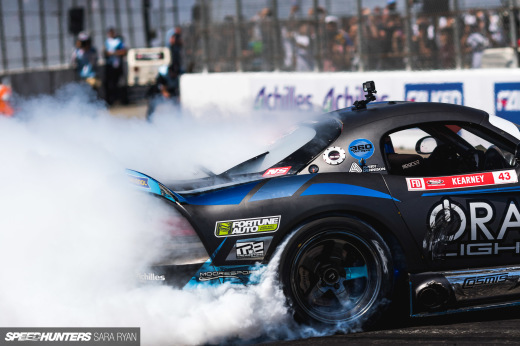 Apart from backing the VR38DETT-powered Juke-R project, Nissan also campaigned the Juke in Dakar a few years back, and for that race it looked pretty badass. Seriously, look it up on Google. The owner of this Curtiss P-40 chopped the wings off his plane and then added wheels so he could park it at Nissfest. Fact! In recent years, I’ve noticed people have been straying away from crazy paint jobs, but why can’t more show cars have rainbow sparkles? Seeing this Q45 in all of its shimmering glory warmed my heart. 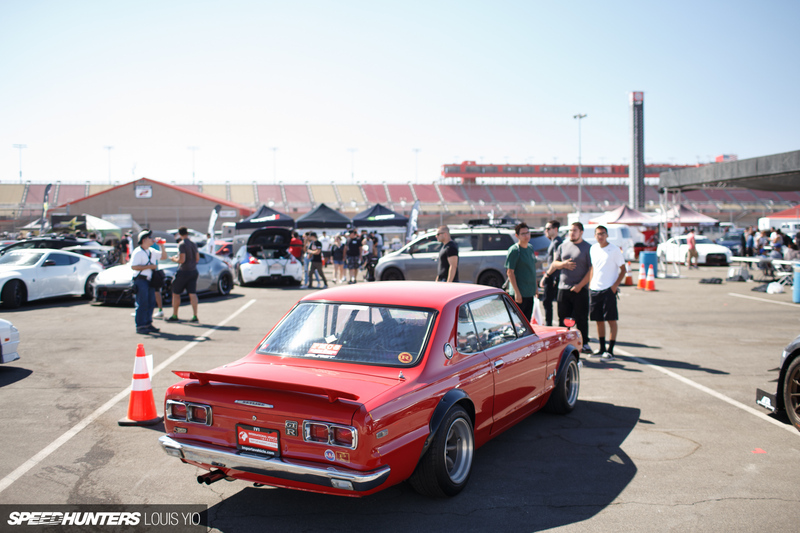 All the Datsun 510s at the show (and there were plenty of them) were drastically different from one another, showing just what a great base for modifying the car is. 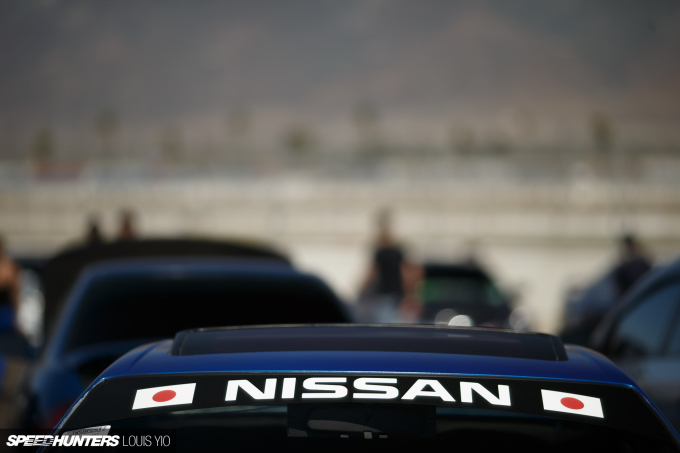 It’s disappointing that Nissan isn’t planning on bringing the 510’s spiritual successor – the IDx concept – into production when so many people want to see it happen. 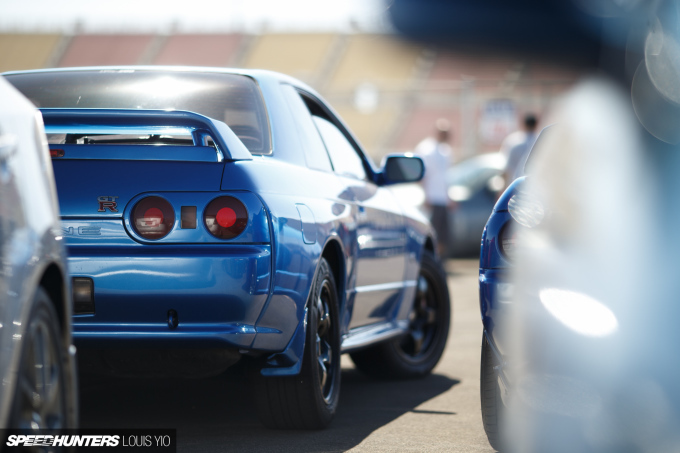 For how illegal it is to own a GT-R in California, it was great to see around a dozen R32s out at the show. They all had plates from different states, but being able to check out so many examples one place was pretty cool. 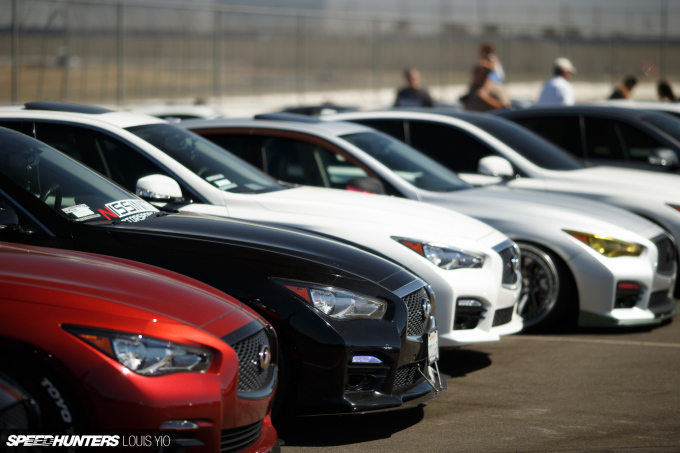 I never imagined Infiniti’s new Q50s would attract such a strong following. Maybe it’s the super Italian styling with that aggressive front end? Or maybe it’s the potential power these VQs can push? Whatever it is, I’m seeing more and more of them on the streets, and with that their to me appeal is growing too. It’s nice that the Maxima community hasn’t completely vanished. I do have to say though, in my books the older Maximas from the ’90s and early 2000s will always be the best. With Redline Time Attack sharing the venue, Nissfest show-goers were able to catch the track action from the fence line. Bonus! R32 Skylines are rare in the States, but Hakosukas are on another level; I’ve only ever seen a very small number of them out in the wild. This red example was super clean too. 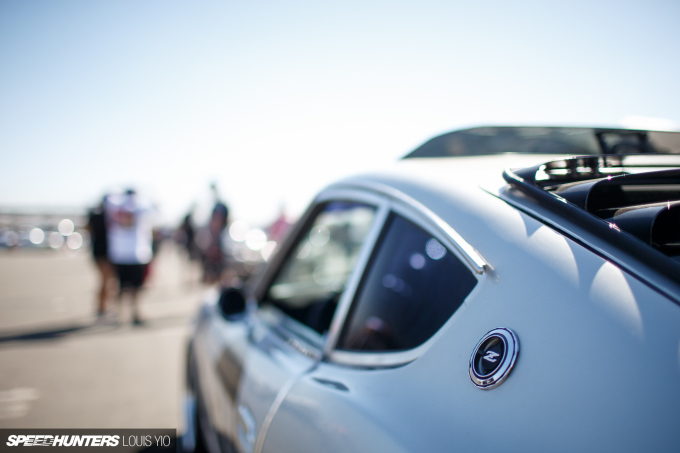 The other Hakosuka at the show was also constantly surrounded by fanboys (myself included). 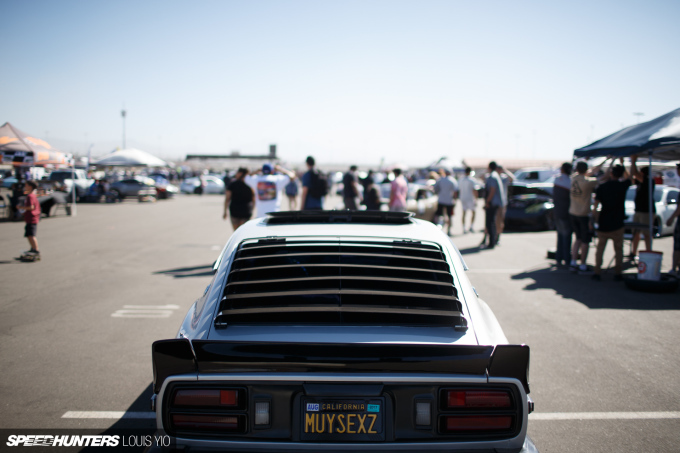 This Z31 was receiving plenty of attention, and it’s not hard to see why. 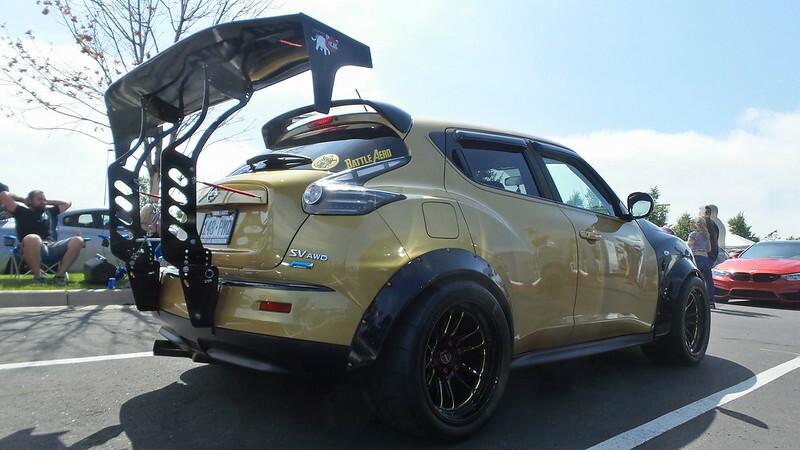 With mismatched colors, an aggressive stance, and a fighter jet wing, it’s super aggressive. I love it! 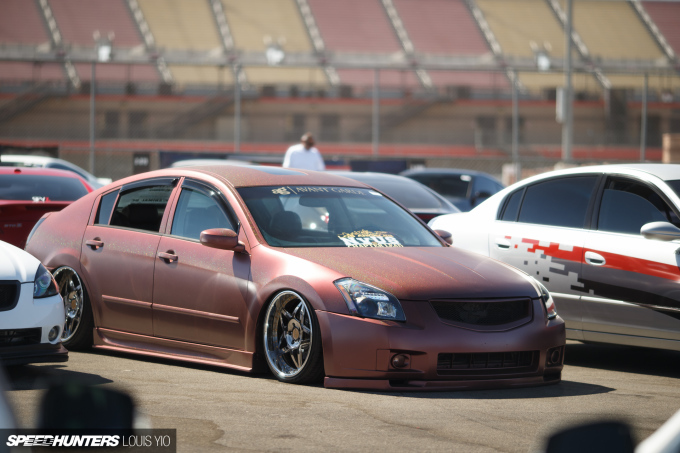 I don’t even know where to start with this Z33, but I’ll try: if dubstep had an automotive equivalent, this would surely be it. The Stone Brewing Company shift knob is definitely a first, and is almost as cool as the Sapporo samurai sword beer tap shift knob I once saw. 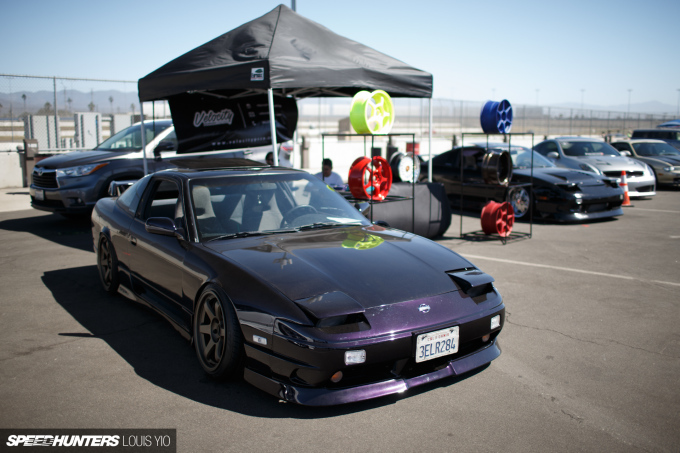 If the day ever comes where I plan on purchasing an S13, I’d be stuck in the classifieds trying to decide whether to go for a Type X hatchback or a two-tone coupe… Help me out, guys – which is best? Well, that’s it from Nissfest 2016. If you’re in the SoCal area, I’d definitely recommend getting along to this event next year. It’s growing, and like Subiefest will only get better with age. For now though, I’ll leave you with the official Nissfest video from Ivy Films, and a bunch of bonus images in the chapter below. 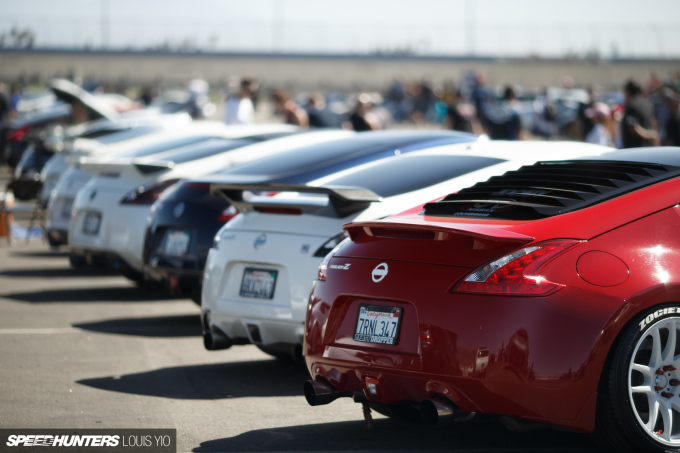 Oh the Blue 'Dubstep' Z33 has a reverse hatch, any pics of that? 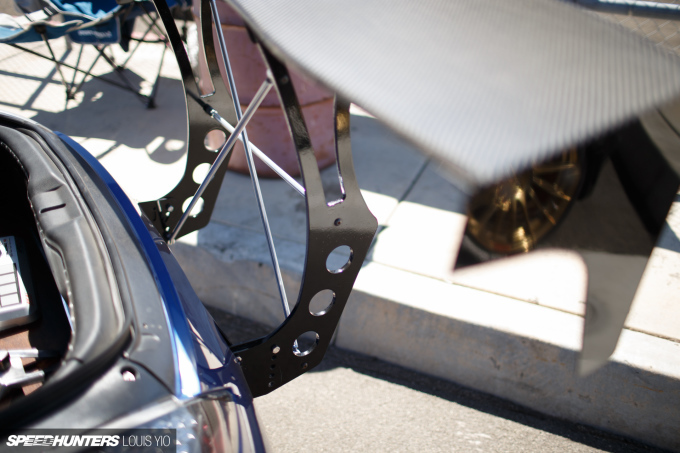 I appreciate the work that's put into these cars, but there's SOOO MUCH CAMBER. I'm not one to harp on and on, but it's getting a little bit overplayed at this point. 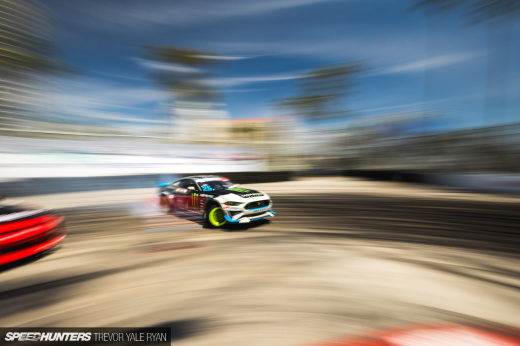 I understand that it's not speedhunter's fault, it's the community. Just wanted to clarify. Not about to shoot the messenger, it was actually a pretty good read, and the photography was solid, I'm just a little burned out on the whole "stance" thing. This doesn't have any relation to the Nissanfest put on by Northwest Nissans at Evergreen does it? 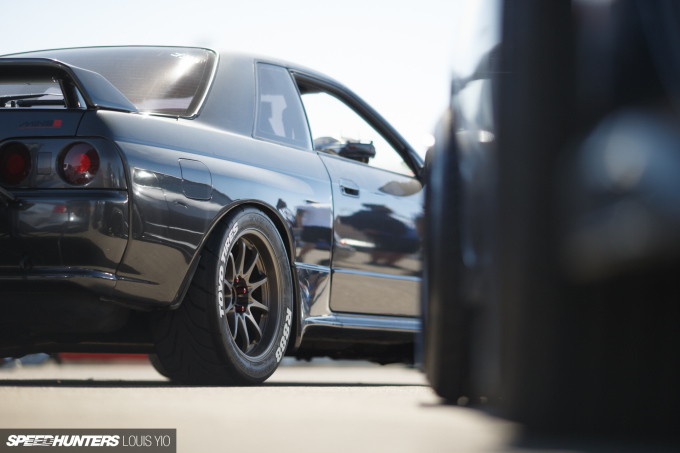 I believe it's legal to own a R32 in Cali, just bloody expensive! I wondered how long it would be before Blinkyz made it to the front page. 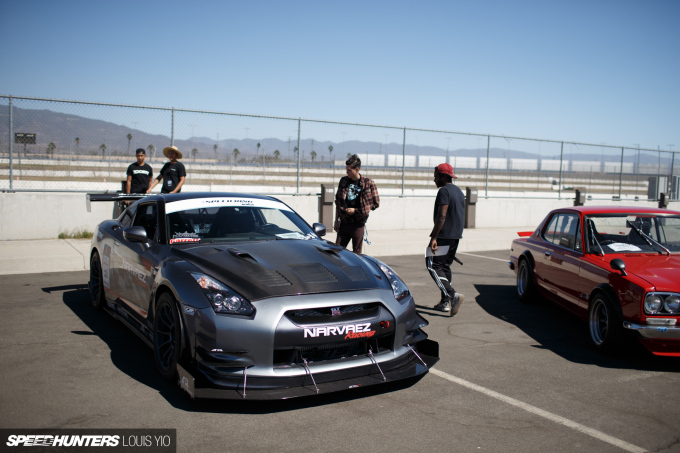 Love that car! Keegan_Michael_ familycar piston and rod = aftermarket drop-in pistons and rods versus a top to bottom built motor. I guess you two have never heard that before. Oh well. Cheers! Dude... Z31? C'mon, man. You were doing pretty good there too. Well... aside from that "Dakar Juke" statement. 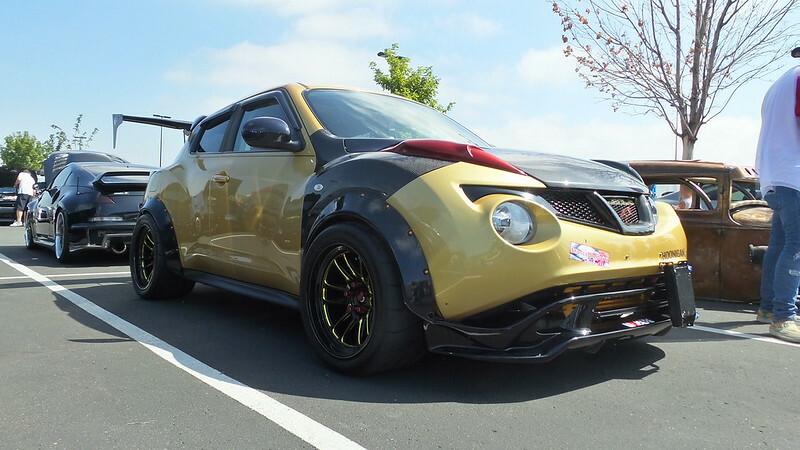 The "Dakar Juke" comes about as close to being a Juke as the GT-R LM Nismo comes to being a GT-R.
Turbology "Has" a built RB26 waiting to be put into a car he has yet to purchase... and able to find previously unknown Nissan Chassis information from this article? 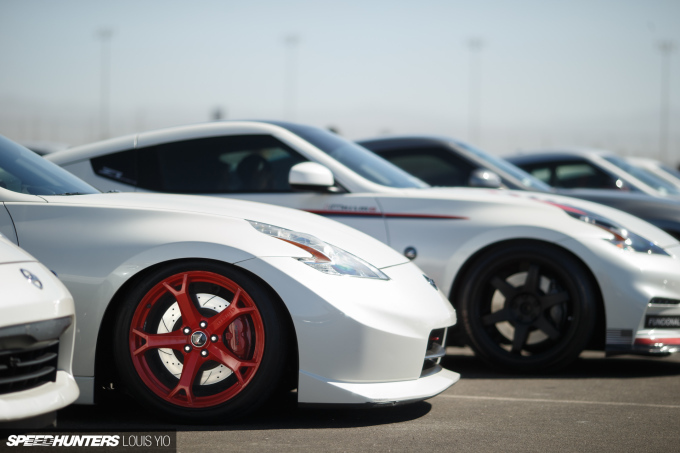 That blue 350z at the end of the article makes me want to puke. 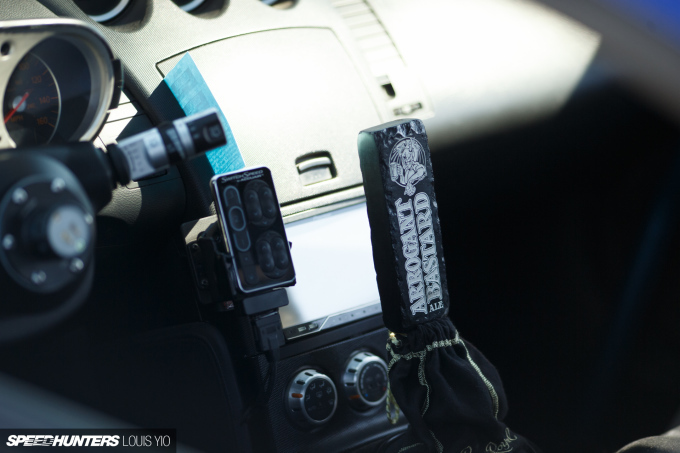 Especially the shifter set up . I cant believe that people still use "crown royal" garbage bottle sock as a shifter boot. Oh man. I have soft spot for both red Z32 and blue Z33!! Any special feature about those car dude? 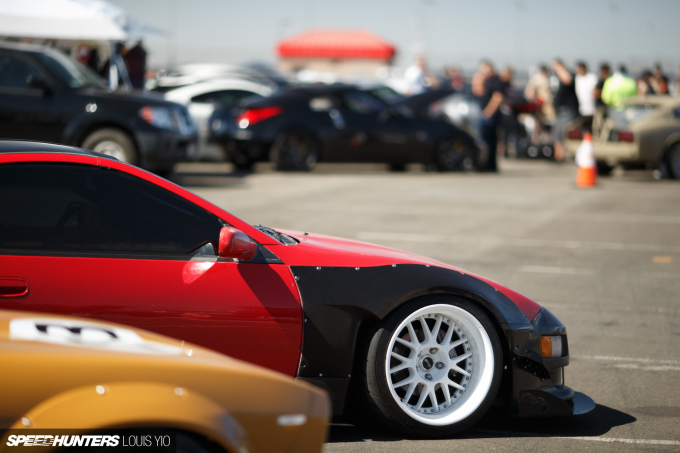 Once you go coupe, hatchback is poop. 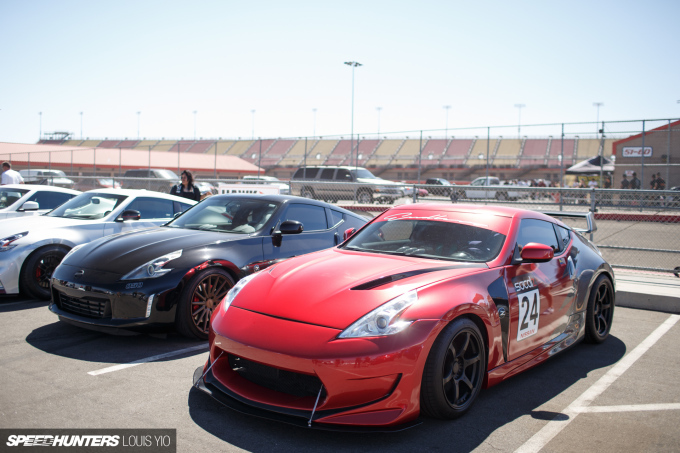 finally some Z33s on speedhunters......... what took you so long guys..?! eejjkk I'm not flawless. A typo is a typo. 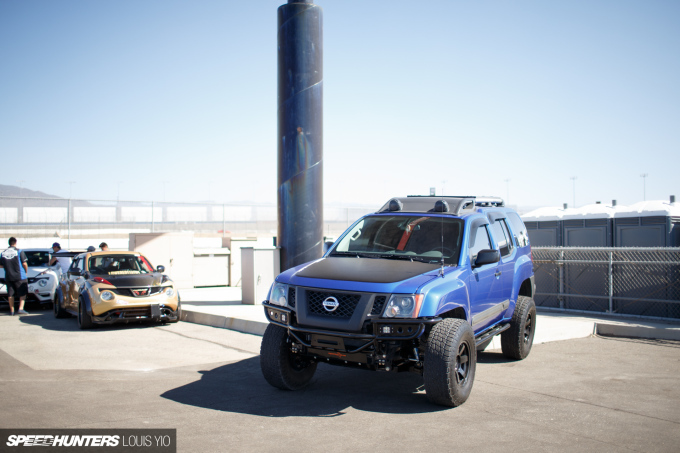 Gold Juke in the background of one of the Xterra shots is from Colorado. Saw it this summer, I think it looks so crazy it's cool! 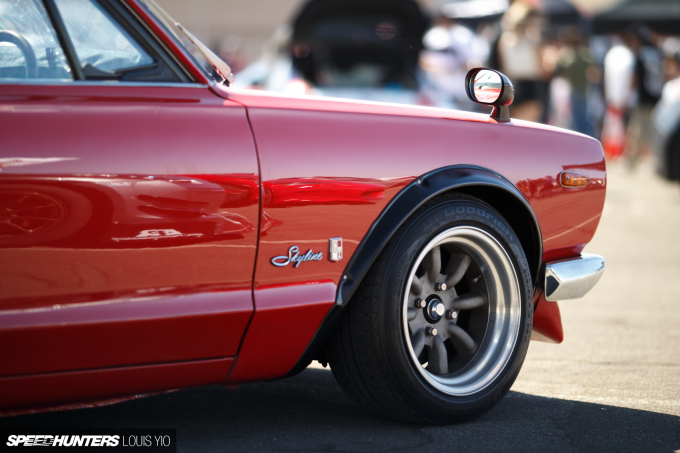 Take a minute to appreciate how far back the LS is in that Datsun engine bay. Just do. Such balance. Turbology Well ahem you'll want it to be easily accessible.. jk jk. 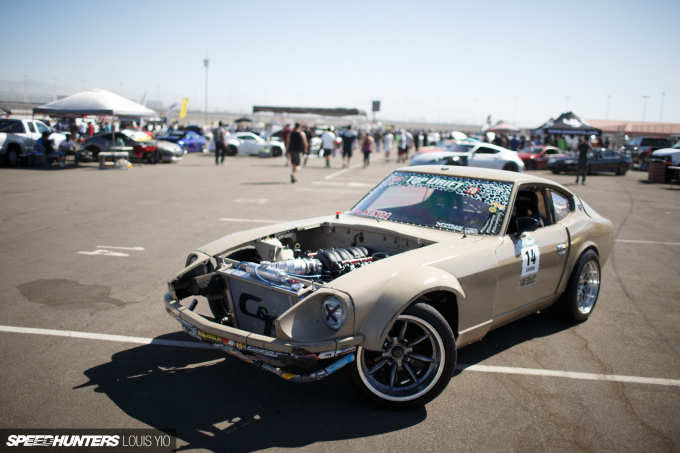 Besides S chassis, older Z is obvious choice for engine bay length. 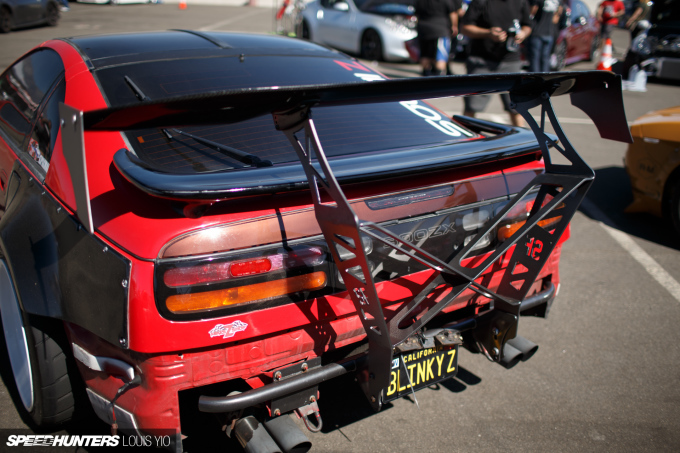 But it would be cool to see in a 300zx. Might have to snip some firewall etc. Good luck! eejjkk such an insightful comment, aren't you clever. I am building an R34 with an RB30 stroker for a client, so yes, I have the stock RB26 at my disposal. Thanks for playing! Glad to see the Juke finally getting some love. When I take mine to our local Cars & Coffee it gets more attention than my buddy's M2 (even though his M2 would crush my little Juke in a race). Once you get past the polarizing looks you can get a tidy little car with AWD & turbo. Great coverage! 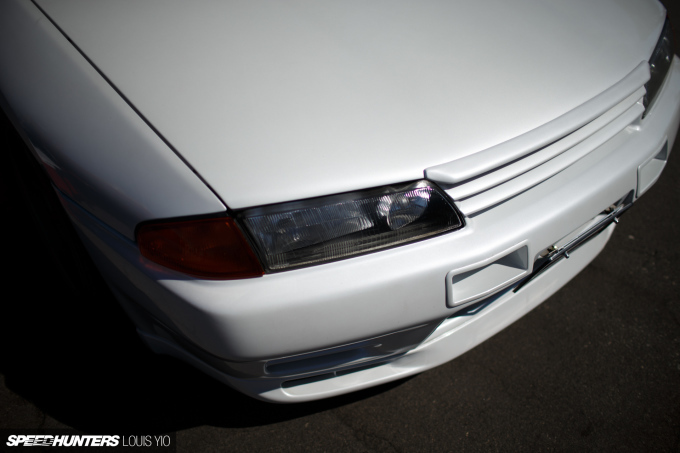 LouisYio FunctionFirst hot hatches will always be cool imo. TheGentleman this has been going on for a while. 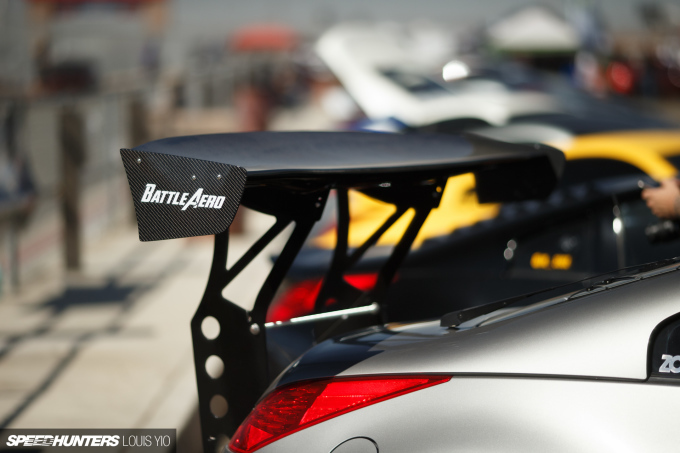 I think the logic being that the wing is attached to the actual car not just the trunklid. With that said I think this particular model in these pictures is a bit gaudy. 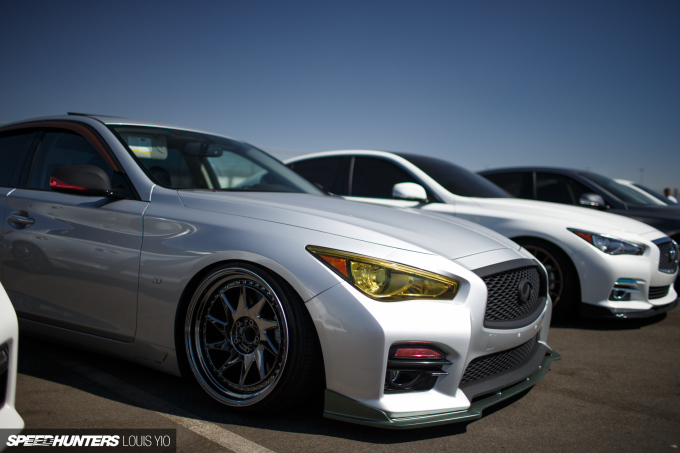 I think it looks cool on wagons tbh. 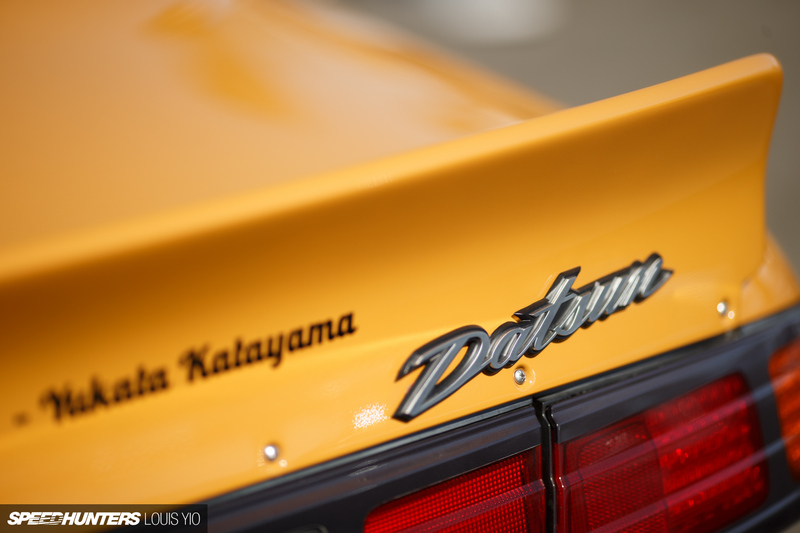 Until they open the hood on those Hakosukas they are just replicas. Turbology bluestreaksti could always do an upgraded 200zr(z31 with an rb20)!